This week, I will take you to one of the famous Korean restaurants in Sydney, Madang Restaurant. There is always people waiting in line at ANY dinnertime except when they just open or possibly late at night (they open past midnight). Sometimes the queue can be quite intimidating and it can also be seen as an indicator of how good the restaurant is. 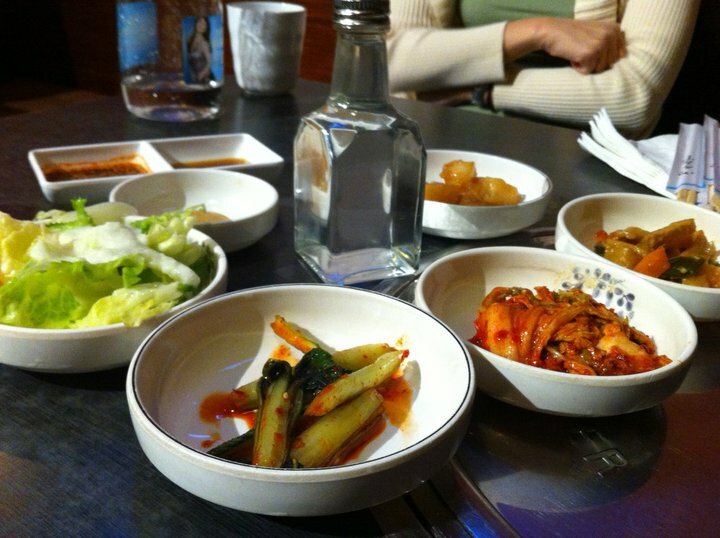 We ordered five dishes – with the free-flowing Kimchi – and I think it was a little too much for the five of us. Had I been able to withdraw one of my orders, I would really have difficulties in choosing one. Unfortunately this review will have a freely translated dish’s names. 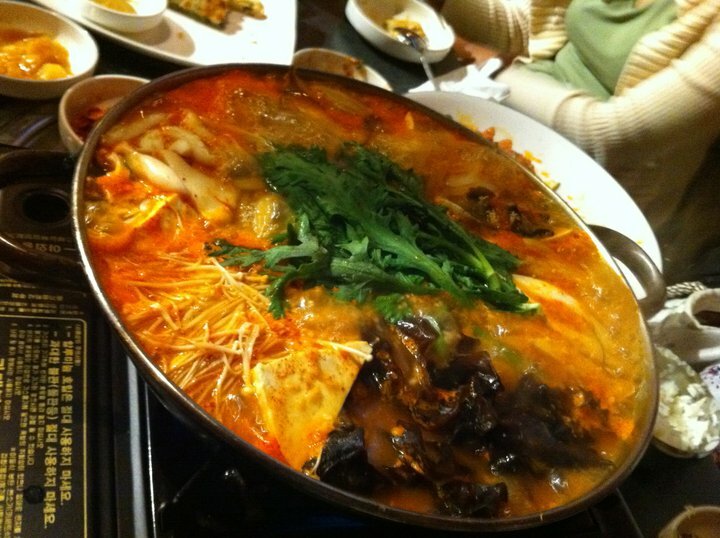 For our first dish of the night, I remembered the Korean name since this was the only dish that I constantly ordered here. 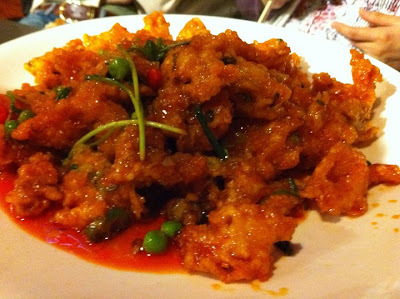 It was Ggan Pung Ki (Deep Fried Chicken with special Korean sauce). I really like this dish – sweet and crunchy what else do you want? 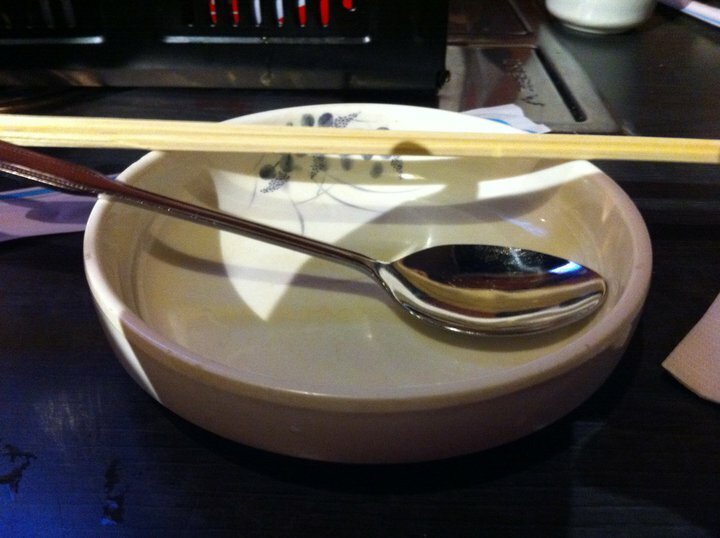 On top of that, the serving was really generous. 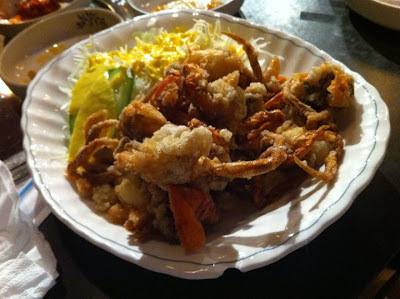 Then came the Soft-Shelled Crab. Smaller in size when compared to the first one, the crab was cooked perfectly. The yellow sauce created a different dimension to the crab. 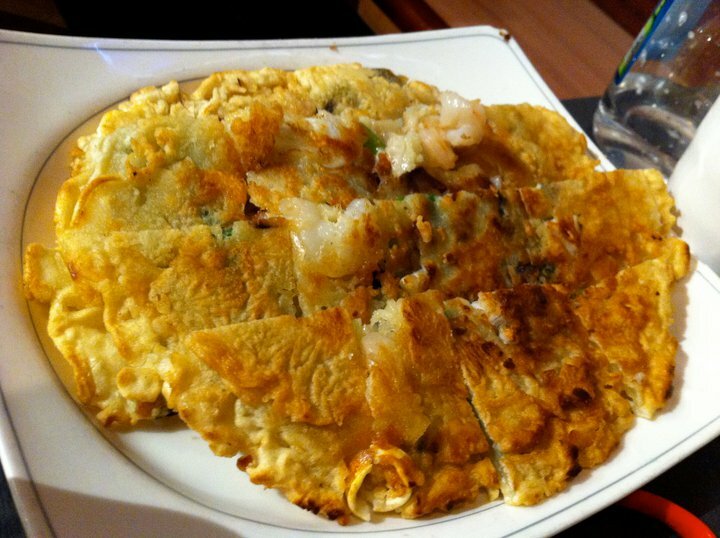 The next dish to arrive was also a ‘staple’ order in Korean restaurants, Seafood and Shallot Pancake. The pancake was flavoursome and jam-packed with seafood. Everything was perfect but one minor detail, it wasn’t crunchy enough for me. I know it might be a personal taste, but I like my pancake slightly crunchy. We also ordered the always-challenging Cold Noodles. 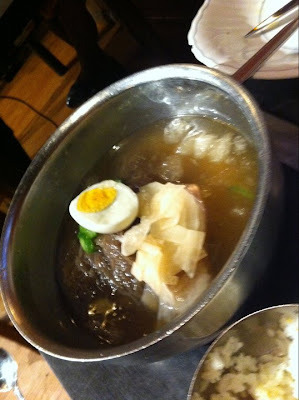 It was noodles dipped in ice-cold broth with vegetables, eggs, and beef slices. Very rarely people would love to eat this dish. I quite enjoy its uniqueness. For the big main event, normally you can choose between barbecue and soup. This time, we opted for the soup – Beef and Mushroom Soup to be exact. 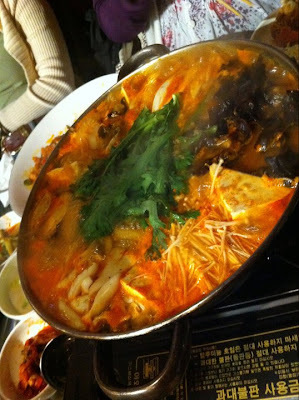 No less than four different types of mushrooms were served along the beef, vegetables and glass noodles. I believe in wintertime, this was the perfect dish to warm up our night. Its gigantic size might proof a little bit intimidating for some people. I love the different textures of mushrooms in this pot. The final verdict: Every dish served that night was flawless. They weren’t mind-blowing, but enough to warrant a better than average score. In regards to the dishes,The chicken would standout against the rest. Madang’s BBQ is also an option you should seriously consider. The dishes were slightly more expensive than the options in this review and for me personally, I have another place cheaper that I can go to for a nice Korean BBQ.